Praz de Lys is a hidden yet picturesque ski resort nestled deep within the Giffre Valley, which enjoys views of Mont Blanc, Chablais, Jura and the Aravis range. Favoured by holidaymakers of all ages for its idyllic beauty and authentic experience, Praz de Lys is more than just a place to ski. Since opening in 1978, Praz de Lys has partnered with Sommand to create an authentic, invigorating mountainside experience for thousands of guests from across the world, who can choose to stay in one of two neighbouring villages: Mieussy or Taninges. 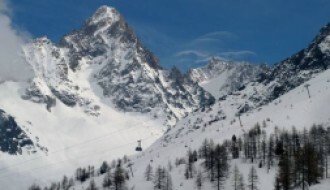 The winter season runs from mid-December to mid-April, but the resort offers a range of activities throughout the summer months, including large scale events such as the Tour de France. The popularity of the area, combined with its natural beauty and range of on-site activities, ensure that Praz de Lys is a great spot for potential investment. Praz de Lys is an area that not only exhibits natural beauty but provides the perfect mixture of snowfall and sunshine for guests to enjoy. Praz de Lys' historical snow report for the 2018 season shows a total snowfall of 235cm over 13 snow days. The average base depth was 98cm, with a high of 175cm, whereas the summit reached highs of 225cm and had an average depth of 133cm. The resort also has an impressive 120 snow cannons to supplement the natural snowfall. Weather reports for Praz de Lys in the summer months show a high of 17-18° - the perfect temperature for exploring the mountainside. For updated snow and weather reports, take a look at our resort guide here. Investors to the area can seek comfort in the fact that the resort provides year-round entertainment for both guests and residents, with new activities being offered each and every year. During the winter season, skiers and snowboarders of all abilities can enjoy the impressive 48km of slopes - which includes 25.60km of easy terrain for those just starting out, but also 16.10km of intermediate and 6.30km of difficult terrain for those with more experience. Praz de Lys currently has 24 ski lifts and six chairlifts taking visitors to an impressive altitude of 2000m, which not only provides an exciting experience for skiers and snowboarders alike but a stunning backdrop in which to partake in the activity. 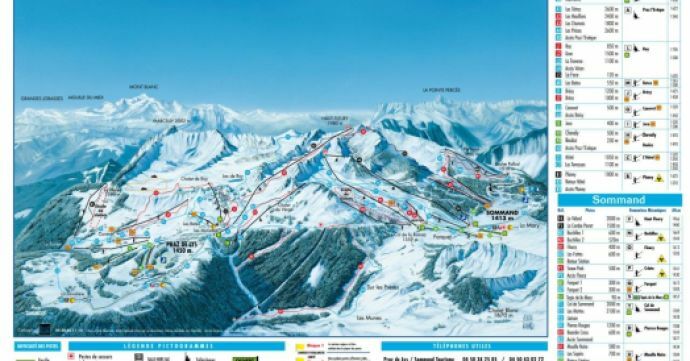 Nearby resorts include the stunning Les Gets and Hirmentaz, allowing keen skiers to take their pick of pistes and runs. 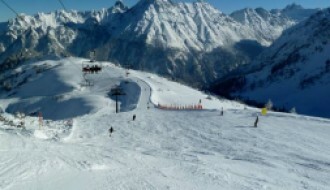 Praz de Lys is a resort that, with their excellent slopes offer much more than a traditional skiing experience. Guests can also enjoy a snow park equipped with a valley run and halfpipe. Those seeking further adventure in the snow can explore the cross-country trails or winter hiking paths. Or, when seeking a little break from skiing, guests can take part in a dog sled tour or snowmobile experience. Throughout the year, the resort offers guests the opportunity to mix adventure with beauty. In the summer months, guests can partake in a wide range of exciting activities including hiking, rock climbing, horse riding, white water sports and even paragliding. Praz de Lys also offers guests the possibility to explore local history and culture by visiting nearby museums and historic sites such as the Flérier chapel or the Chartreuse de Mélan. Guests also have the opportunity to take guided tours with friendly and experienced locals who boast a rich knowledge of Praz de Lys' diverse history. Guests are also invited to sample local cuisine at a range of restaurants, bars and shops in the area. The Croq' alp: the House of Taste, is a favourite of many - a great place to purchase fresh, local produce and learn the secret of cheese making (whilst having a few samples, of course). Praz de Lys is also home to numerous spas, offering a range of luxurious treatments and a cinema. There is truly something for everyone to enjoy in Praz de Lys. Praz de Lys is the perfect location for potential investors due to the wide range of activities it currently hosts, not to mention the stunning scenery in the area. In addition to this, each year the resort sees the introduction of new activities as well as the opening of new shops, restaurants and bars to accommodate the growing number of guests. Those considering buying a property in Praz de Lys can choose from a range of luxurious properties from the more traditional chalets to renovated farmhouses, with plans underway for the building of new properties in the coming years. 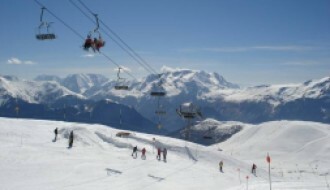 Praz de Lys is a highly accessible resort and guests can arrive by plane, train, car or shuttle. The nearest airport, the International Airport of Genève Cointrin, is just 40km away from the resort whilst the TGV Cluses train station is just 24km away. The resort also provides regular shuttle buses with numerous pickup locations throughout the year.